Returning from an injury can be daunting. Some days are good and some days aren’t. I’ve been back running, or trying too for about two months now. Some days I feel great and other days not so great. I’m determined though to try to keep up with my sister! Today’s run took us along our favourite road. 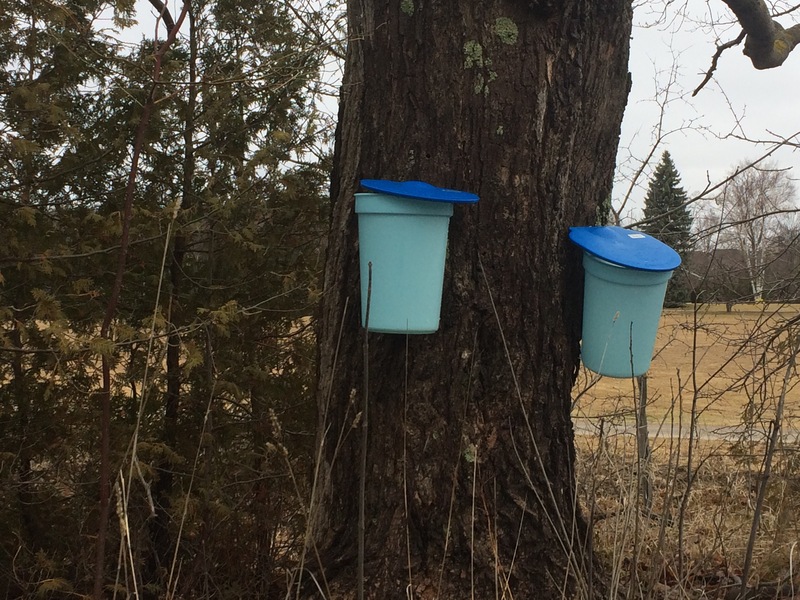 The sap buckets were out, spring and a new beginning are happening now!